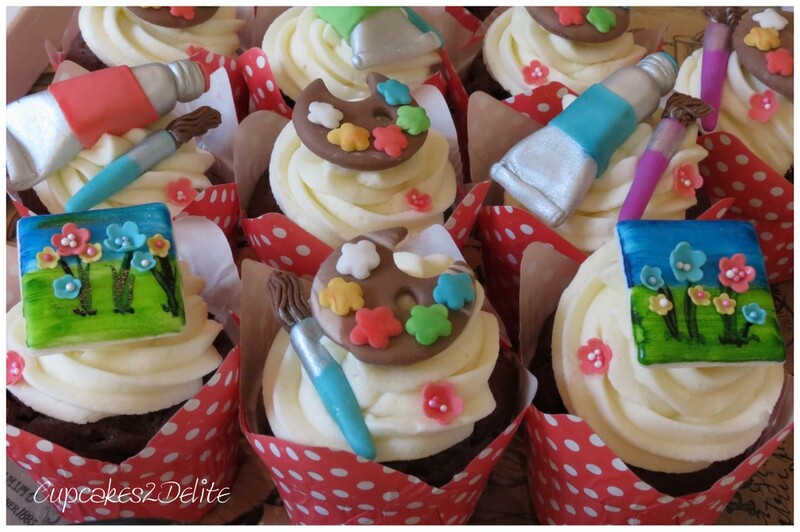 I donned my artist’s beret to come up with these cupcake decorations for the Artist themed cupcakes that Brian ordered for his wife Helen’s 60th Birthday. I chose pastel colours and made silver paint tubes with pastel labels and paint brushes and palettes with splotches of colourful sugar pastel ‘paint’. The miniature canvases I painted with a simple flower landscape, adding the 3-D flowers with their pretty centres for effect. 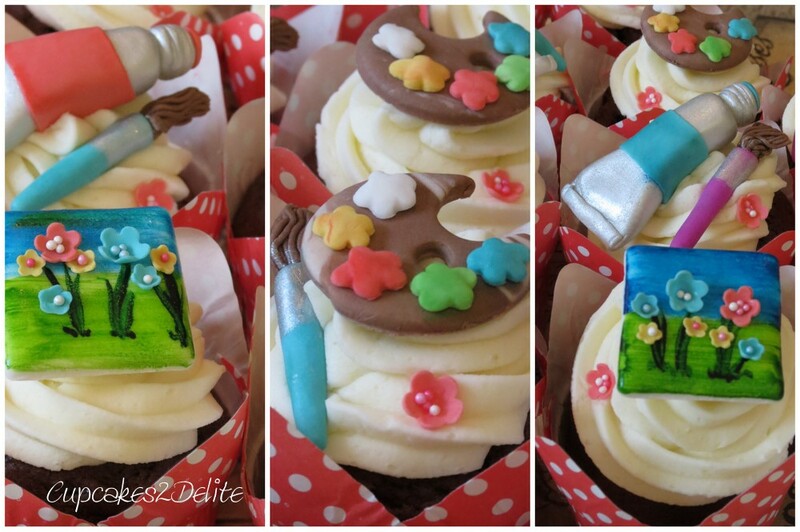 It was a compliment that Helen, a talented artist, loved her Artist themed cupcakes. I look forward to seeing your work Helen and I am delighted that my sugar miniatures coloured your special day in a small sweet way!